Pecros.com - Jobs that are still piled up or are facing problems that need attention are often the reason we lack sleep. In fact, lack of sleep will actually make the problem worse, not to mention the effect on health. "Sleep is not a luxury, but a necessity," said the director of the medical department sleeping at Cleveland Clini, Michelle Drerup. People who slept less than 6-8 hours per night risk of death increased by 12 percent. When you are tired, you will sleep anywhere. If it is so, your body reminds you to immediately take a break. "The brain needs sleep to consolidate memories process emotions, and do a little 'cleansing', through the gimfatic system (in the central nervous system), after a busy day at work," said psychiatrist Alex Dimitriu, MD, of Menlo Park Psychiatry & Sleep medicine. The most obvious sign of sleep deprivation is excessive fatigue and daytime sleepiness. It can be detected when someone is sleeping in several places, such as public transportation, class, or office. Some people will prefer to drink coffee when they are sleepy. However, it should be noted, that you can only drink four cups of coffee per day. "Mood swings are the first thing you need to face when you lack of sleep," Drerup said. When we lack of sleep, cortisol levels - stress hormones - will rise. Conversely, a good night's sleep naturally reduces cortisol levels in the body. 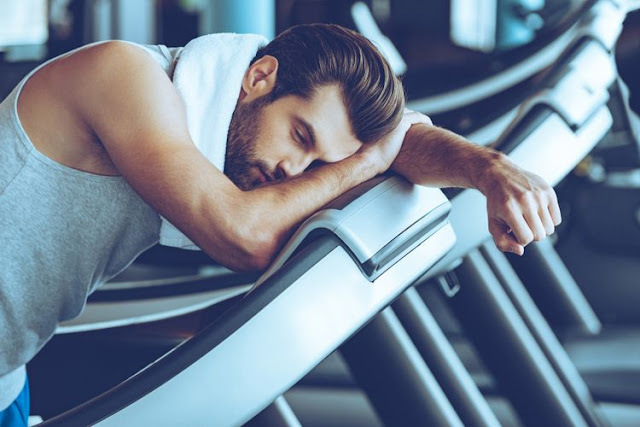 In order for your sleep schedule to return to normal, try to wake up at the same time every day, take a nap about 30 minutes and exercise in the morning. When you sleep less, the afternoon will feel heavy and all food look tasty. Well, there are hormonal reasons behind these conditions. Lack of sleep can lead to reduced levels of leptin, a hormone that makes you full, according to Christopher Hollingsworth, MD, surgeon. When you don't get enough sleep, the leptin level decreases, and it makes you easy to feel hungry and more likely to eat high-calorie foods, which means there will be a possibility of weight gain, "Hollingsworth said. Lack of sleep can make you more forgetful. A study conducted showed that sleep has an impact on learning and memory. Sleep is very important to consolidate the things we learn in the brain. So, proper rest is needed to lock in new information in the brain.